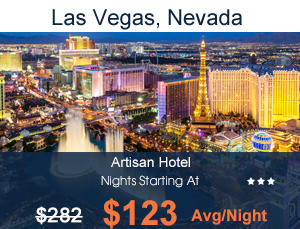 Las Vegas Hotel Discounts - Hotels Etc., Inc. Enjoying my time in Las Vegas was made even more fun because of my experience in the travel clubs and hotels of Vegas. Holidaying in Las Vegas is a dream for many. While the gambling side of Vegas has made it popular with tourists the world over, the city is also a haven for shopping and fine dining. Not to mention the night life; this is unparalleled for its originality and energy. It is not for nothing that Las Vegas calls itself “The Entertainment Capital of the World”. Its hotels are unlike any other with their mega casinos and allied entertainment. These hotels are not only attractive to tourists looking for fun and leisure. They are also a major draw for corporations and businesses who want to offer their employees conventions and seminars in a city that can also offer them stress-busting fun! A major component of any holiday is, of course, the hotel you stay in. Las Vegas has plenty of choices to offer in this regard. It is the city with the maximum number of Five Diamond hotels in the world. This is the benchmark for luxury in hospitality. No wonder it is one of the top destinations in the world for tourists as well as a hospitality leader on a global scale! Las Vegas is also home to many unique and exciting events. Take for example, the upcoming Helldorado Parade on May 16. This is open to all. There is something for children too, like the Rox in Sox Children’s Music Festival that is happening on April 11. With so many hotels and travel clubs to choose from, how do you select the one that will make your holiday memorable and your wallet happy? In my experience, the best travel club and hotels in Las Vegas can be found on Hotels Etc. I found substantial savings on my hotel stay through Hotels Etc. Not only hotels, but they made my holiday even more enjoyable with the fantastic discounts and offers they had on car rentals, shopping, restaurants, entertainment, and so much more. Being one among 4 million members that Hotels Etc already has, I was sure I was in good hands from the get-go. I got my own personal membership card with which I could avail discounts on almost every part of my holiday in Las Vegas. This travel club made my stay in Las Vegas one of the best vacations of my life! Hotels Etc provide the best discounts on hotels that you can get anywhere in the world. There are restaurant discounts for dining, that can get you anywhere to 70% of on your bills. With the money saved, I was able to indulge in more shopping during my vacation! The hotel rates are many times below the market prices. The discount rates available to members are 60% more than what the public has access to! There are even discounts for golf clubs that are easy to get online!